All families were invited to join us for a morning of fun sports activities. Children worked in house teams to complete a number of challenges that were set up on the field and playground. Teams were awarded points for skill, effort and teamwork. Everyone worked really hard to try and win the Sports Day trophies. 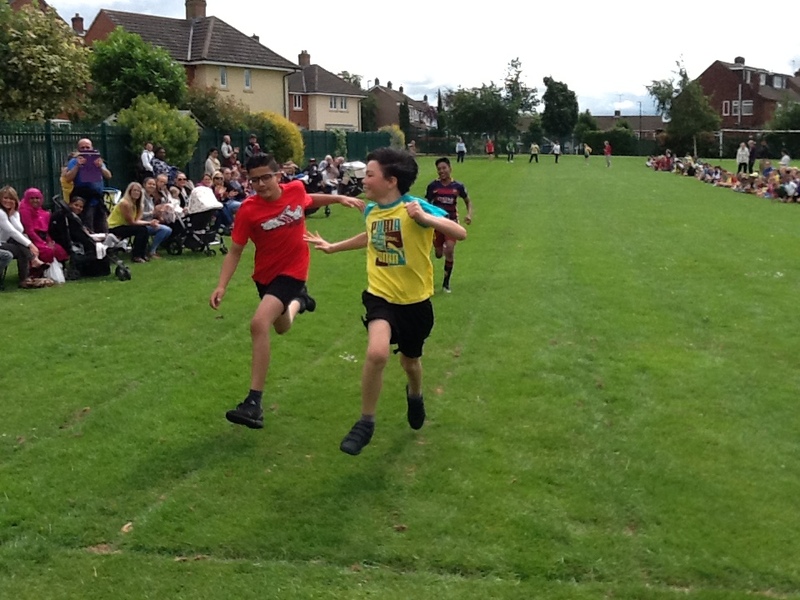 In addition to the challenges, all children took part in class races which were very exciting. After a morning of hard work, everyone had a well-earned rest at our family picnic. It was lovely to see so many families enjoying having a picnic lunch together on the field.